We’re celebrating Valentine’s Day February 14-16. 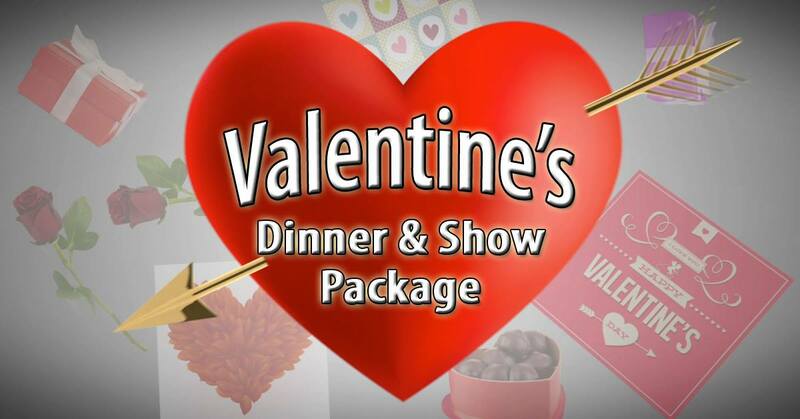 Our romantic Dinner & Show Package includes dinner at GiGi’s for a Prime Rib & Crab Leg dinner buffet, glass of champagne with dinner and comedy show with Ronnie Bullard. Upgrade to the Sweetheart Package to make it an overnight escape with a hotel room.